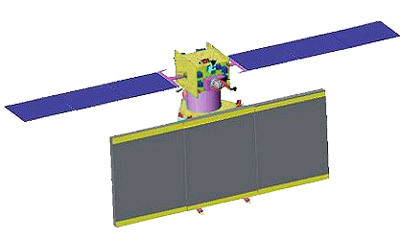 The Indian Space Research Organisation asserted that the Radar Imaging Satellite (RISAT), expected to be launched by the Polar Satellite Launch Vehicle from Sriharikota spaceport next month, is not an Israeli one.Denying reports in a section of the press that RISAT is from Israel, ISRO Chairman G Madhavan Nair said it is an Indian spacecraft. Asked if RISAT is an Israeli satellite or an Indian one, the Secretary in the Department of Space said “we won’t launch any Israeli satellite. It’s an Indian satellite”. On whether Israel has contributed to the satellite, Nair said “no. That many countries contribute, not only Israel. It’s our satellite”. Asked if Israel supplied Synthetic Aperture Radar for the satellite, he said “those finer details…We will talk when we make the launch”. He said the exact date for the launch has not been finalised. “It could be within two weeks or so”, he said, adding that preparations are in progress at the launch pad. “May be sometime in the middle of next week, we will fix the exact date”, he said. This entry was posted in GPS, India, Remote Sensing 101, Satellites. Bookmark the permalink.